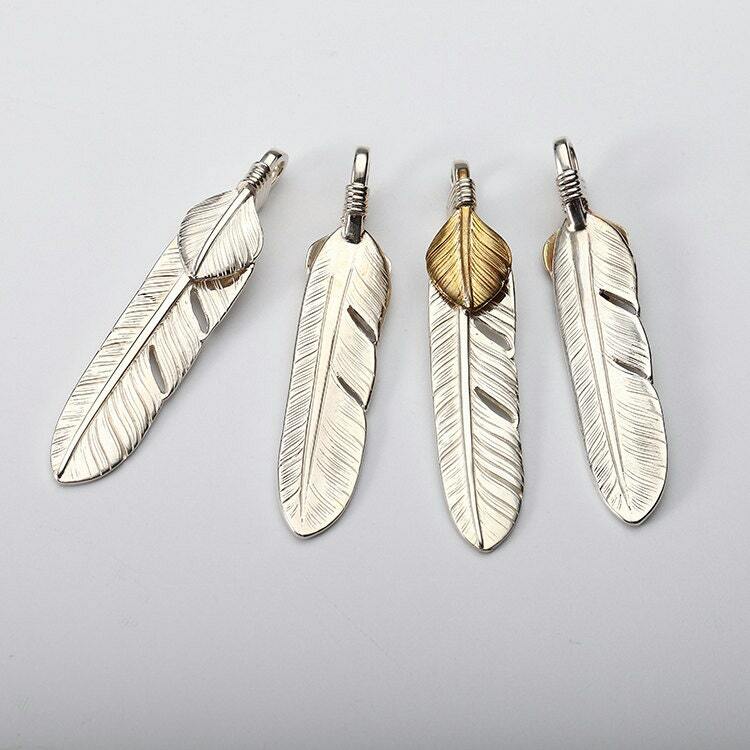 Stylish silver feather pendants that add a dash of charm to your necklace - in a design inspired by Native American jewelry. 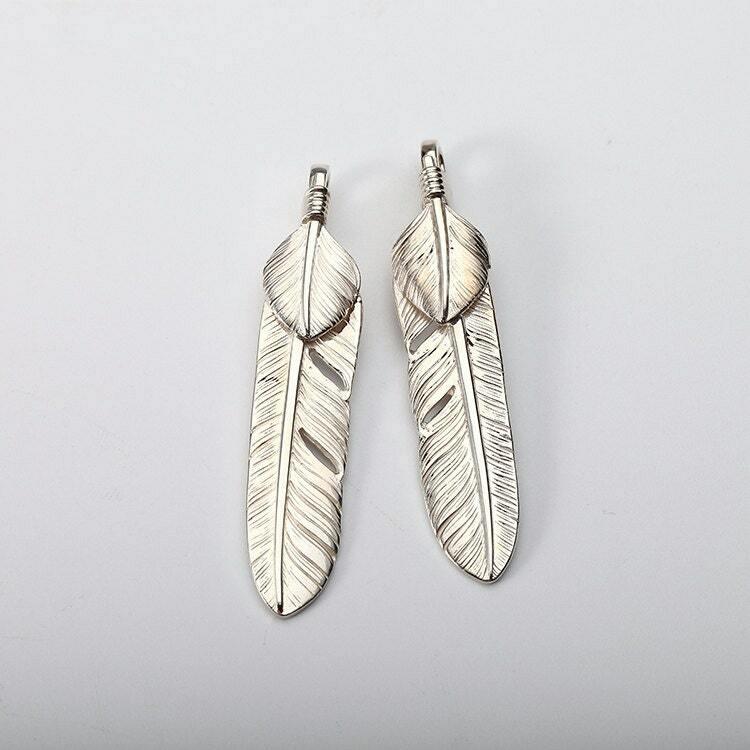 Crafted in a double feather arrangement - with the main silver feather as a base, and a mini-feather tied together at the quill. 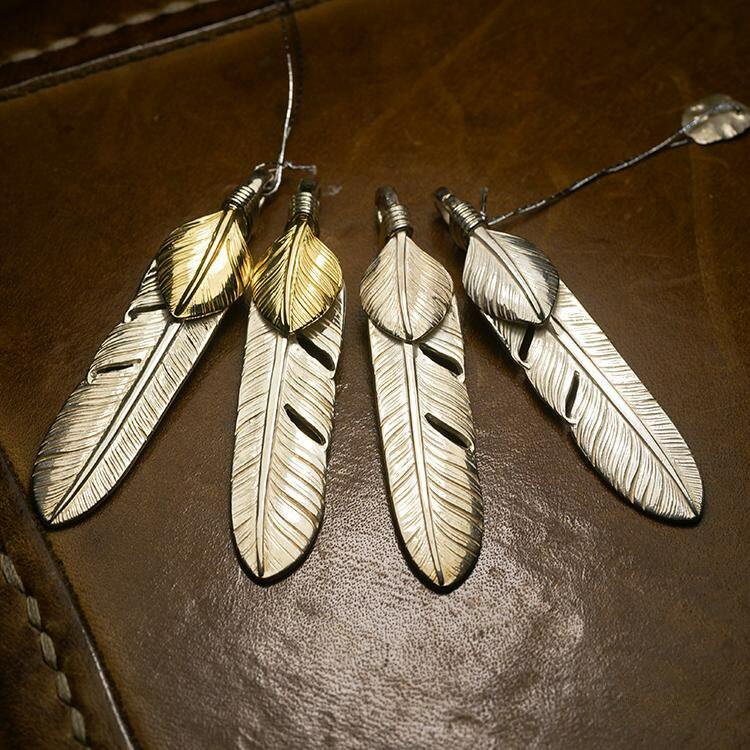 The mini-feather is available in three different versions - silver, brass and 18K gold. Refer the second image above - with two silver feather pendants. 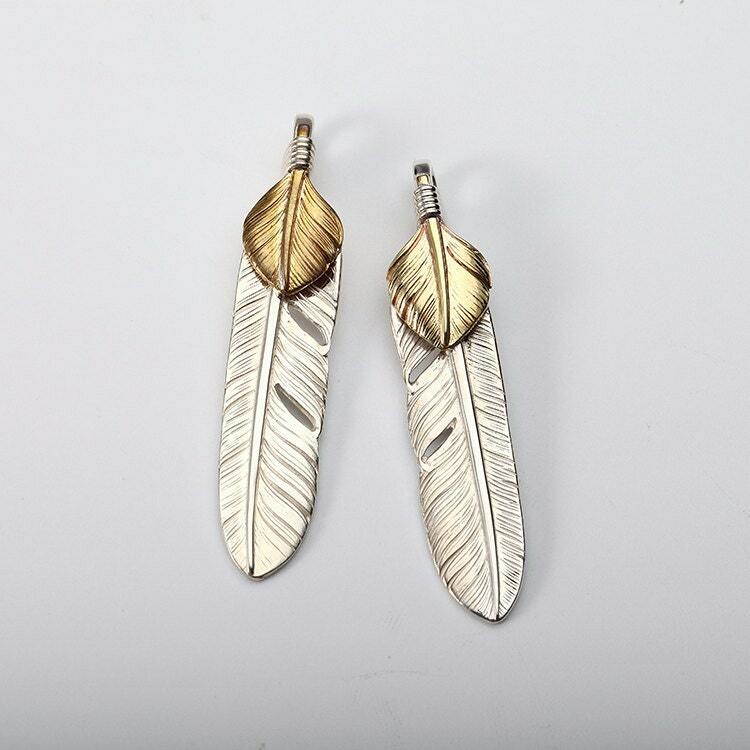 The one on the left has a brass mini-feather, the one on right has a mini-feather in 18K gold. The feather is tied together with thin silver wire - and the aperture is big enough to adjust a thin silver chain. 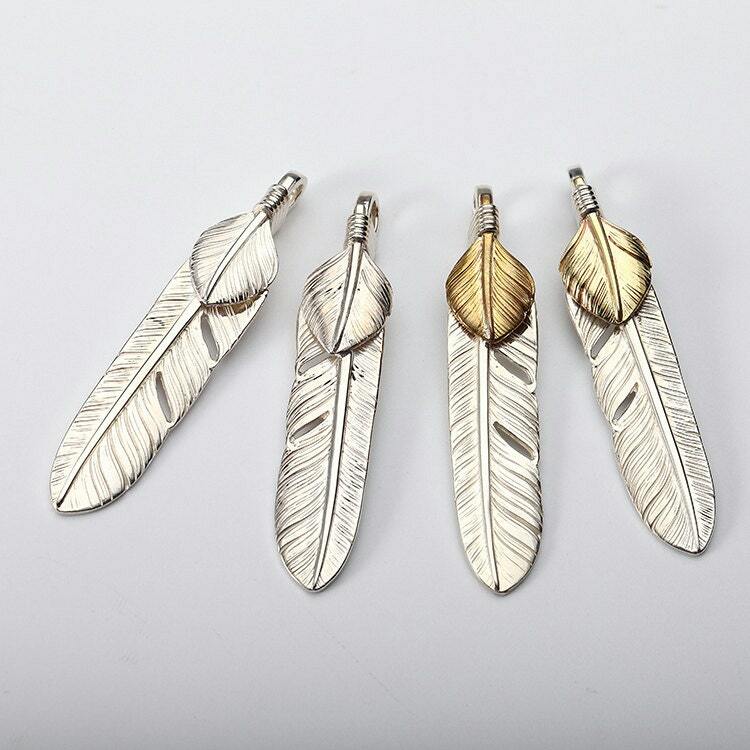 Note: No our logo stamped on this feather pendant due to the space limitation. No our logo stamped on this feather pendant due to the space limitation.